By going by the Indian National Shipowners’ Association (INSA) CEO Anil Devli’s words, Indian shipping industry may be contemplating converting their ships to foreign registration, potentially causing a loss in taxes of about Rs 8,000 crore to the central exchequer. 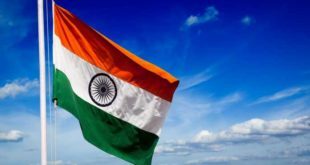 Indian shipowners could switch to a foreign flag if the government refrains from offering cargo support to the domestic industry in order to compete with foreign shipping lines,a thinking that has reached all the minds in shipping fraternity. According to latest data from INSA, in FY15-16, the share of Indian ships in the carriage of EXIM cargo was a miniscule 7.86%. An Indian vessel is less competitive because of multiple taxes, the higher cost of bunker fuel and a levy of 5% as integrated goods and services tax (IGST) on the purchase value of new ships. Moreover, Indian shippers are compulsorily required to employ more numbers of seamen on their vessels compared to foreign ships. This not only results in a higher wage outgo but companies also have to bear the income tax burden of 30% for each employee, in order to remain competitive with the wages offered on foreign ships. While India does not practice cabotage, there is a provision under the chartering guidelines offering the domestic industry the right of first refusal (RoFR) in case a foreign company emerges as a lowest bidder for any cargo contract. In the absence of RoFR, there is no incentive to remain flagged in India, feels INSA. According to estimates, already, around 35% of the total fleet owned and controlled by Indian interests is flagged overseas because of lack of cargo support and high taxes. Cabotage laws apply to ships in most countries so as to protect the domestic shipping industry from foreign competition. However, in India, shipping companies only get RoFR, or the right to match the lowest price offered by a foreign ship. If the Indian ship does not accept the rate quoted by the foreign flag, then the foreign flag is given the licence by INSA within 24 hours to execute the contract. In the current scenario, although Indian shippers are able to match or offer better rates than foreign shipping lines, their market share is less than 10% of the total cargo movement. Foreign vessels carry over 90% of Indian cargo. In the European Union (EU), China, Australia, the UK and Singapore, there is either no GST or it is zero rated. In a zero-rate regime, the shipping company is not taxed but can still avail input tax credit for goods and services used. Second, the cost of wages forms about 40% of the total cost of operations of a ship. However, this is higher for Indian ships as they also need to factor in the tax rate of 30% on the wages paid to their employees. Third, bunker fuel, that ships use, is also costlier in India. Fourth, Indian shipping companies need to pay 5% IGST on the purchase of new ships. Ranjit Singh, ED & CEO, Essar Shipping, feel that on a tanker that costs a minimum of $40 million, an Indian company would have to pay $2 million upfront as IGST. According to media reports based on data from INSA, over the last 25 years, the planned expenditure on the shipping industry was just 1.78% of the expenditure on railways and 2.3% of the roads sector. 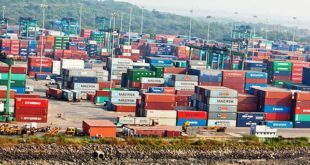 With almost zero budgetary support to Indian shippers over the last 25 years and policies that put them at a disadvantage compared to foreign shipping lines, the amount remitted out of India as freight is about $52 billion.